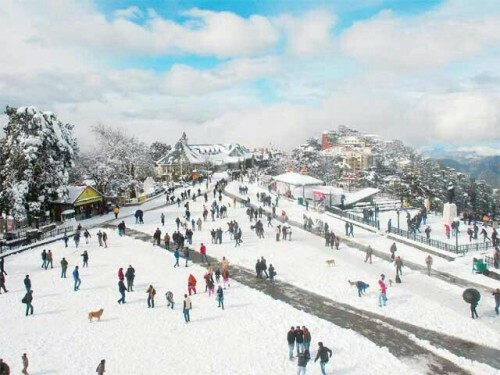 Shimla, the summer capital of British Raj and of the State of Himachal Pradesh is widely known as the most vivid and pristine of hill stations in India. 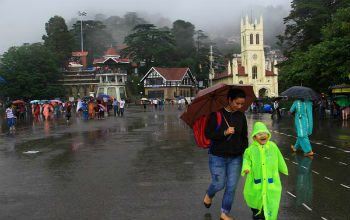 Established in 1819 by the British to provide a home like environment to their people, Shimla today is a bustling city catering to a large tourist population round the year. Situated at an altitude of 6700â€™, Shimla is beautiful combination of the antique and the modern, be it architecture, toy train or traditional heritage to include the toy train, the Vice Regal lodge or the shopping street called The Mall. 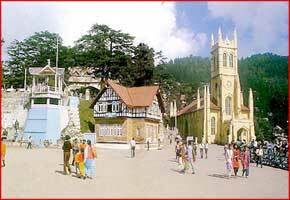 Places to visit in Shimla are aplenty and no tourist will ever be left wanting for more in this beautiful city. 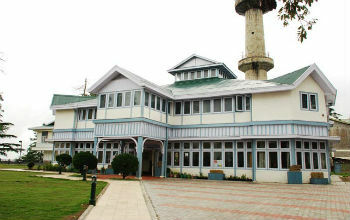 Some places of interest in Shimla are described briefly hereunder. Christ Church One of the oldest churches in North India, Christ Church was built by the British in 1857 to serve the large Anglican British community in the area. 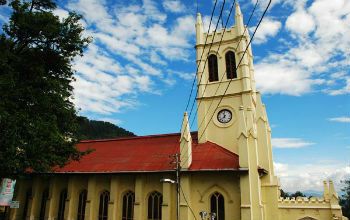 Built in the Neo-Gothic style of architecture, Christ Church is one of the long lasting legacies of British rule in India and is one of Shimla's most recognized landmarks. 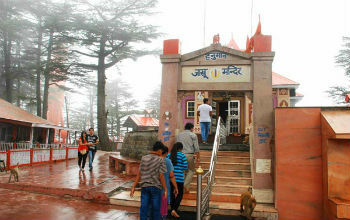 The Jakhoo Temple is an ancient temple dedicated to Lord Hanuman. 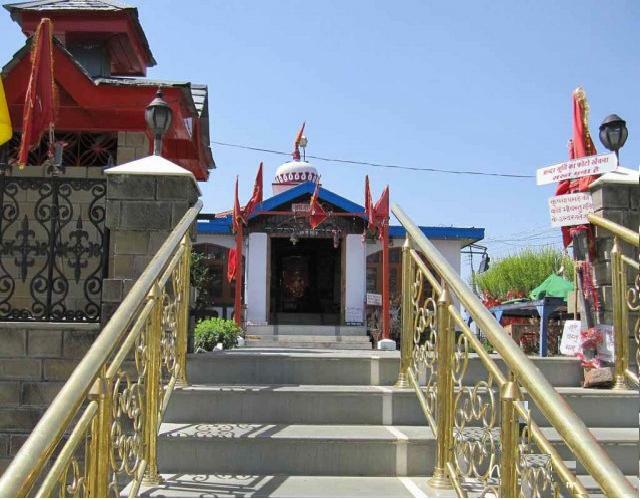 Located on Jakhoo Hill, 2.5 km from the Ridge, the Jakhoo Temple offers beautiful views of the Shivalik Mountains and the nearby town of Sanjauli. The Ridge of Shimla is a large open spacious platform from where you can have a panoramic view of the mountain peaks of Shimla. The snow capped mountain ranges engulfed in the beauty of the nature is a phenomenal view that the Ridge of Shimla offers to the crowd. Also known as the Shimla of Madhya Pradesh, Shivpuri is an ancient town in Gwalior, whose dense forests were used as the hunting grounds for the Mughal Emperors. 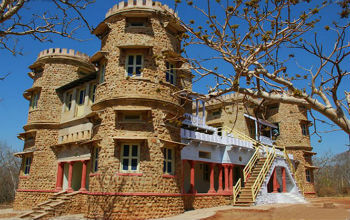 The royalty of this small place lies in the exquisite hunting lodges and palaces that were built by the Scindia Rulers. Madhav National Park, the hunting preserve of the rulers of Gwalior, houses the most beautiful creation by them-The George Castle. An enjoyable drive through forests and small villages leads to this small but popular station.The Nature Park here is a great attraction . A short trek leads upto the Mahasu peak - with Breath taking views. The Mall has a number of restaurants that offers a wide range of cuisines from Punjabi and South Indian to Chinese and Continental dishes. Besides there are also a number of good dhabas and fast food joints where you can look out for some yummy pizzas and burgers. The Mall of Shimla holds the age old amateur theater- The Gaiety theater. This building has a great appeal to the tourists and is a focal point of cultural activities. Shimla (H.P.) India - 173219.